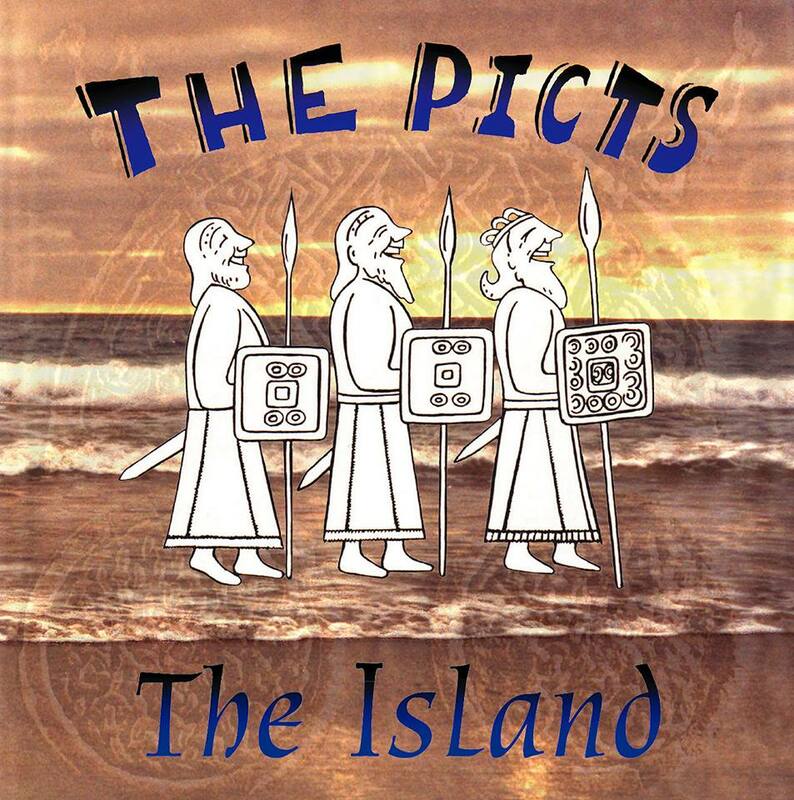 This, the first album from The Picts’ features a new line up: Douglas McQueen Hunter-vocals and guitar, Jeremy Stirling-keyboards, Tony Higgins-drums and percussion, with new boys, Stuart Law-accordion, Douglas Ballantyne-fiddle and Nico-bass. This album is a combination of the traditional and the original. from the invigorating opening track ‘The Peak’ the listener is captured and treated to a wonderful mix and variety of music with carefully crafted arrangements, like the enchanting ‘Castlebay T Party’, ‘The Lament for Archie findlater’ a slow fiddle air, the romantic and emotive title track ‘The Island’ to the powerful and rocky ‘Three Spalpeans’ and ‘Pacific Waves’. ‘The Reelflexologist set and ‘The Federals’ are bounding with energy, being designed for dancing. Two tracks from the first EP appear on ‘The Island’: ‘Glenshee’ and a rocky, revamped version of ‘The Shearin’. on a lighter and more humorous note try out a helping of ‘Elephant Jam’. The quality of musicianship and enthusiasm is radiant throughout this album.